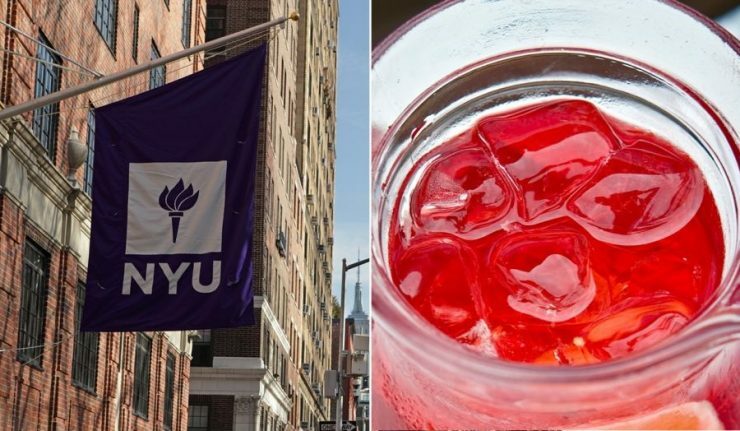 February 23rd, 2018 – The food vendors at New York University knew they wanted to create a special menu for Black History month, but they apparently did not know that serving red Kool-Aid and watermelon-flavored water would be considered racially insensitive. The spread had been advertised as the “Black History Menu” on flyers, and alongside the beverage choices were ribs, collard greens, cornbread, smashed yams and mac and cheese. Kayla Eubanks was one of the first students to bring public attention to the menu. She told CNN that she was curious about the menu but when she found out what was being served she was stunned. Other students began to make their way to the dining hall, and one of them decided to approach the person in charge of setting the menu. Nia Harris is a sophomore at NYU and published a public Facebook post about her experience. She included the email she sent to dining services and the Deans of the University and stressed that it was the drinks (not necessarily the food) and the way she was treated that upset her the most. Aramark, the university’s food service provider, fired the two employees who planned the menu following the public backlash. They said the two workers set up the Black History Month Menu on their own without any without any involvement from NYU officials. This is not the first time that a menu has used historical stereotypes to celebrate black culture. A diner in Texas came under fire last January when it promoted an MLK Day special of chicken and waffles with a side of watermelon. African Americans have fought against hateful stereotypes for centuries, and Harris has been directing people to an article in The Atlantic from historian William R. Black in order to educate those who don’t know how certain symbols have been taken and used for racist purposes.